Tracing minerals back to source. It is a long process that Fairphone has begun in the hope of achieving a truly ethical smartphone. February 22, 2016—We all have them! Cell phones! Have you ever wondered where the materials to make our cell phones come from? Cobalt is an important element in the lithium-ion battery of our cell phone. Emmanuel Umpula, director of an organization that works with Amnesty International says that companies linked to Apple, Microsoft, and Samsung are buying cobalt, “Without asking questions about how, by who or where it was mined.” Umpula did ask questions and found children as young as 7 used in the mining of cobalt. In 2014, in the Democratic Republic of Congo, UICEF put the number of children working in mines at about 40,000, earning about $1 a day and leaving negative health impacts by exposure to the cobalt dust. Child labor in the mining of cobalt isn’t a thing of a year or two ago—it is happening today! Besides the use of child labor, mining has negative impacts on our environment resulting in erosion, dumping tailings that could include mercury and cyanide in the river systems and contaminating the water of people and wildlife. Minerals in our cell phones can be traced back to child labor. Today we have a choice—a choice to choose a more sustainable product. 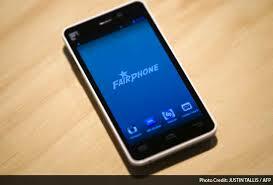 The Fairphone Company is attempting to lessen the human and environmental negative impacts of cell phone production. Fairphone, a small company in Amsterdam, is 100% independently financed (mostly through crowdfunding–pre-orders), and is trying to integrate materials in their supply chain that supports local economies, not armed militias. They’re attempting, one-step-at-a-time, to produce conflict-free minerals from the Democratic Republic of Congo. 1. Increase employment for small-scale miners and contribute to economic development and stability of the region. 2. Work directly towards contributing alternative practices to current mining practices. 4. Bring stakeholders together to participate in dialogue, decision making, and implement solutions to common problems or goals and establish the sources of minerals used in Fairphones. 5. Increase industry and consumer awareness for issues surrounding mining and existing alternatives. Also, in the phone’s manufacturing, Fairphone’s policy is to ensure worker representation, safe working conditions and fair pay. 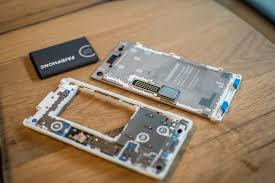 The Fairphone shows its parts when flipped over. Fairphone 2 has a 5″ screen and runs on android 5.1, although the company is in discussions to allow other operating systems. It is a modular smartphone which is designed to be repaired and replace parts by the user if needed. When you turn this phone over you will see the parts through a transparent case–easily covered by a protective case just as other cell phones are. Fairphone will sell parts for this phone which will allow users to replace those that are broken and outdated, such as the camera, and replace them with newer versions. Estimated life of this phone–at least 5 years. This phone is available on Fairphone’s website at: http://www.fairphone.com. You can replace the parts of this cellphone. 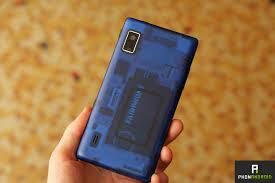 Newsweek Magazine reviewed the Fairphone. They stated, “With moderately heavy use, the battery can easily last 2 days without a charge. When not being used much after a week there was still more than 50% of battery life left–and when the battery life dwindles after a couple of years a new battery can be ordered from Fairplay for about $20. Newsweek says, “When considering the price tag of about $500, the length of time it lasts should be taken into consideration along with the ethical ecosystem of the phone.” The potential to upgrade this phone is also being explored by the company. For Fairphone 2016 brings the move toward growth with a goal of selling 150,000 phones. They realize they can’t do this through pre-orders alone so they are seeking “investors that are interested in generating social and/or environmental impact as well as financial gains”–investors aligned with the values of the Fairphone Company. You can follow Fairphone’s regular updates on Facebook or Twitter. Categories: Building Green, Energy Programs, Renewable Resources, Sustainable Education | Tags: Fairphone, Renewable Energy Education, Renewable Resources | Permalink.